learn at the same time! musikk, bevegelser, lesing og lytting. Joda, det er mulig å lære og ha det gøy samtidig! I use suggestopedia as a method in teaching, which means that much of what we do is not similar to ordinary school – but research shows that the method is at least twice as efficient as traditional teaching (some say even five times more efficient). The method was developed by a brain specialist in Bulgaria named George Lozanov. He pointed out that we have two brain halves, where the right one deals with logic, facts, reading, writing, mathematics – while the left handles emotions, hearing, vision, smell, taste, music, art, creativity. If one deliberately uses both hemispheres in the teaching, it is better stored in long-term memory and easier to use actively. The method is particularly well suited for languages. 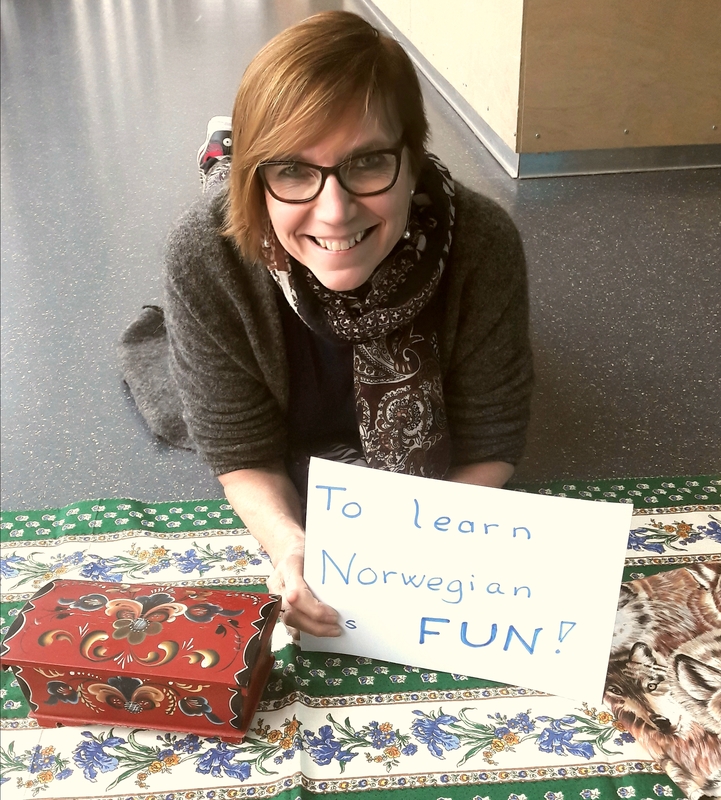 This means that the teaching will have a combination of reading aloud, listening, communication, movements, varied activities and we are in the process of talking Norwegian from the very beginning of the first lesson. It also involves many smiles and lots of laughter. One learns very badly if one is bored. Please contact me if you have any further questions. Welcome to join! Time: 19.00 – 21.00 except for the first lesson*, then we start at 18.30 and will finish 21.30. Total course time will be 21 hours. After registration you will receive an invoice by e-mail. Payment can be made by bank transfer or by Vipps to 90744712. Write “Norskkurs” to confirm the payment. Payment before start-up. There are 12 seats available in this course. If the course is full it will be possible to join a waiting list instead. I have been fortunate to live in other countries for some years and I find it so interesting and rewarding to get to know new people and other cultures. Educational background: have studied English and Chinese at the University of Oslo, as well as Cambridge and Beijing. Have an educational seminar from Oslo University College. Have also taken some courses in Hebrew and Arabic. I have many years of experience as a teacher at several levels: primary school, secondary school, upper secondary school and adult education at Friundervisningen. In January 2019, I was certified as a suggestopedia teacher, now I use this method daily – and see that the students enjoy it. I am married and have two adult children, live on a farm with my husband and enjoy walking in nature, photographing, traveling, reading, watching movies and being with friends. Working daily at Råholt secondary school, but in this context I work for Cockpit Kommunikasjon AS.